We are pleased to offer small, more personalized classes. We believe in QUALITY over QUANTITY. One day - 10am to 5pm. Demo and hands on training. Each student will provide the treatment to 2 models. Receive the YUMI™ certificate upon completion of the training. Group (professional kit) @ 2100. Private training offers individual supervision and guidance. One day - 10am to 5pm. Demo and hands on training. The student will provide the treatment to 2 models. Receive the YUMI™ certificate upon completion of the training. Private (professional kit) @ 2500. YUMI™ is the most effective and safest enhancement of the natural lashes. Choose YUMI™ to compliment, or upgrade your existing service menu! Join our family of YUMI™ Technicians today! *availability is on a first come, first served basis. For more information about training, please contact Jag, Master YUMI™ Trainer in BC. 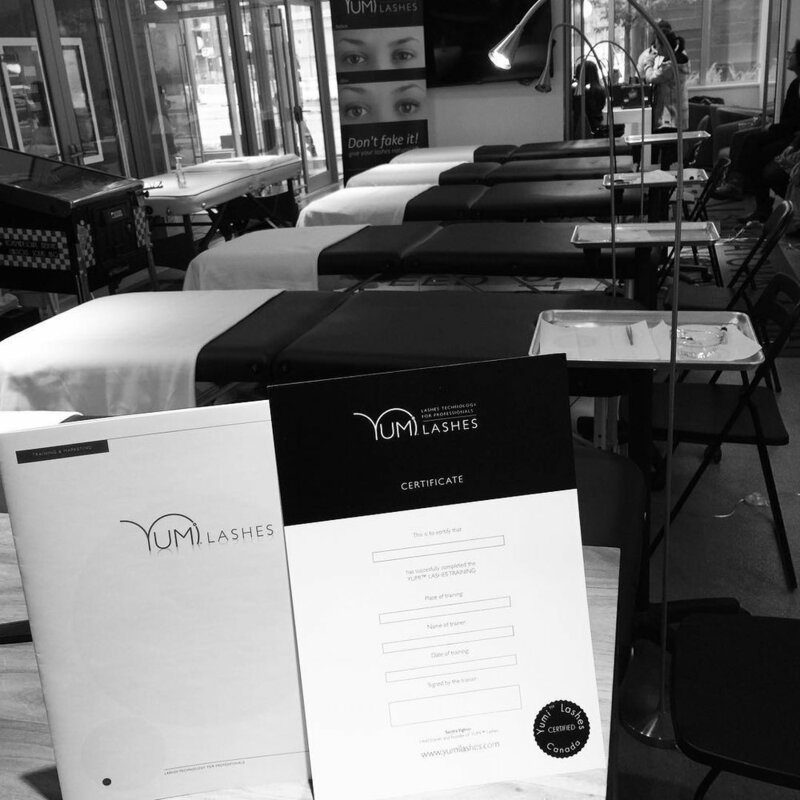 Once you have completed the official training, you can take advantage of the YUMI™ marketing materials. We provide our certified technicians with the best training and support available. Once certified, the YUMI™ certificate is recognized world wide where YUMI™ is available!